When an Echo weed eater turned up missing, a woman knew exactly who to blame. SEBASTIAN – A 38-year-old woman was arrested Wednesday after she stole and pawned an Echo weed eater that belonged to her mother-in-law, according to the Sebastian Police Department. Eva Elizabeth Wright, who told police she works as a waitress, was charged with Theft, and a Felony for Giving False Info to a Pawn Broker. Wright’s mother-in-law called police after finding her weed eater missing. She told authorities that Wright was in her home that day and believed she took it. Police conducted a pawn search and found that Wright pawned an Echo Weed Eater the same day at Warrior Pawn in Roseland. Wright denied taking the weed eater from the home, but then stated that the victim’s son gave it to her. 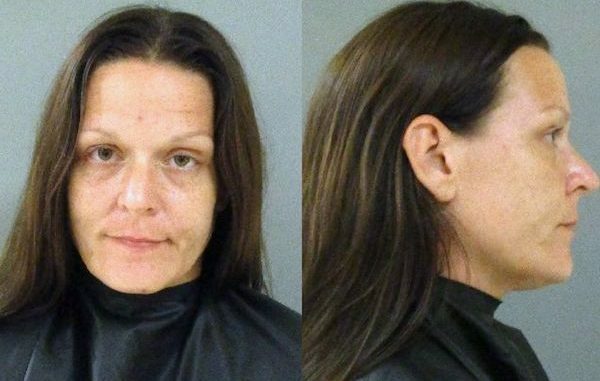 Ultimately, she told officers she couldn’t remember where she left the weed eater. Wright was arrested and transported to the Indian River County Jail. She was released from jail Thursday afternoon after posting $1,000 bond.